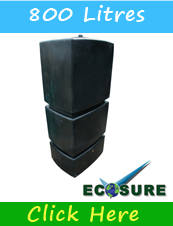 Water Storage Tanks- 280 litres - 1000 litres. 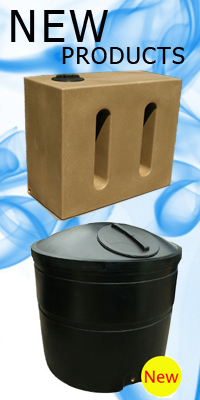 Ecosure water storage tanks are all made here on site in the Uk. 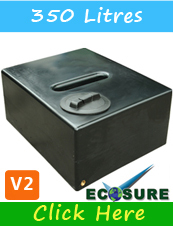 280 Litre water tank ideal for rain water storage. 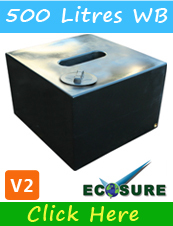 Ecosures popular 280 Litre is a slimline water water tank thats easy to use and store. 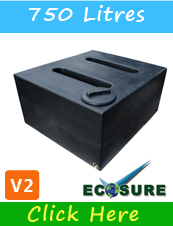 280 Litre Ecosure layflat V2 water storage tank thats ideal for rainwater harvesting. 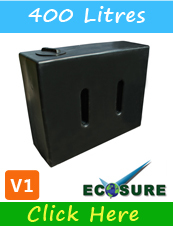 Perfect for small areas and gardens. 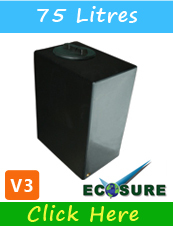 350 Litre Ecosure water storage tank thats ideal for rainwater harvesting. 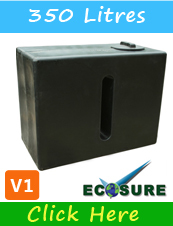 Perfect for small areas and gardens. 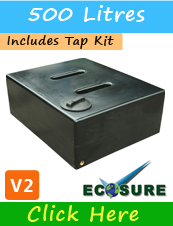 350 Litre Ecosure layflat V2 water storage tank thats ideal for rainwater harvesting. 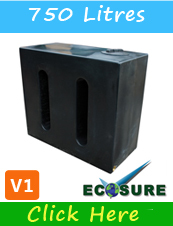 Perfect for small areas and gardens. 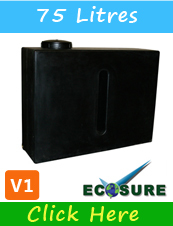 400 Litre Ecosure water storage tank thats ideal for rainwater harvesting. A popular size seller! 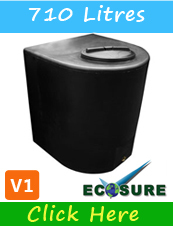 400 Litre Ecosure water storage tank V2 Layflat thats ideal for rainwater harvesting. Sits flush and low to the ground. 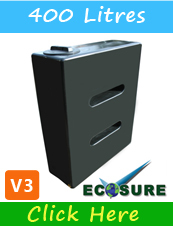 400 Litre Ecosure water storage tank V3 Tall Standing Tank. 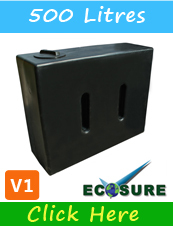 Ideal for storing water in a tank that takes up little footprint..
500 Litre Ecosure water storage tank thats ideal for rainwater harvesting. A popular size seller! 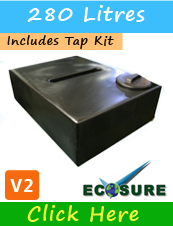 500 Litre Ecosure water storage tank V2 Layflat which is ideal for rainwater harvesting. 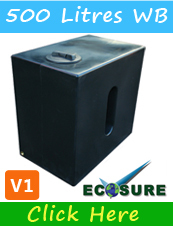 A popular size seller! 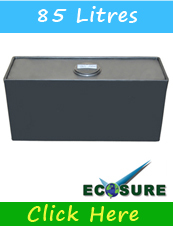 700 Litre Ecosure water storage tank which is ideal for rainwater harvesting. 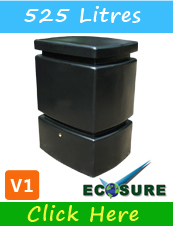 710 Litre Ecosure water storage tank which is ideal for rainwater harvesting. 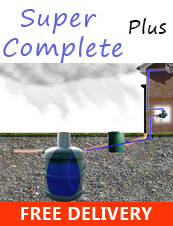 D Shaped water Tank. 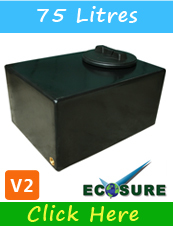 750 Litre Ecosure water storage tank which is ideal for rainwater harvesting. 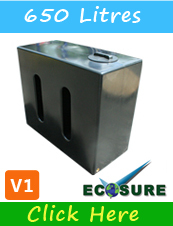 Slimline Water Tank. 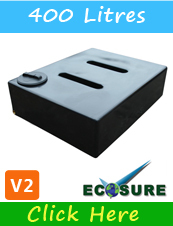 750 Litre Ecosure water storage tank which is ideal for rainwater harvesting.Layflat V2. 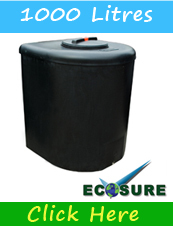 900 Litre Ecosure water storage tank which is ideal for rainwater harvesting. 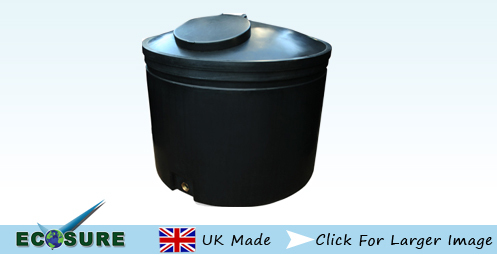 Round Storage Tank. 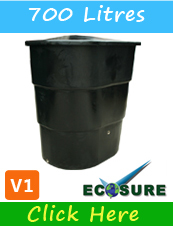 1000 Litre Ecosure water storage tank which is ideal for rainwater harvesting. 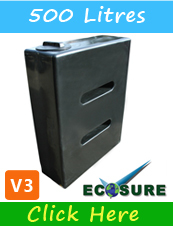 D Shaped Tank.